The co-ordinates are for M86, the brightest galaxy in the chain. Markarian’s Chain lies almost exactly half way between β Leo and ε Vir; a unit power (reflex) finder is ideal for placing you in the correct location. This galaxy chain is one of the delights of early Spring for binocular observers in the northern hemisphere, when it culminates around midnight. The problem in this region of the sky is not finding galaxies – there are so many that are visible in large binoculars – but in identifying them. 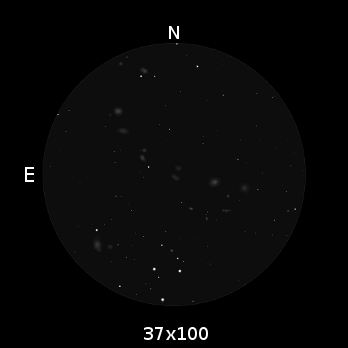 There are literally dozens of galaxies available to big binoculars in this region, the Virgo/Coma Galaxy Cluster. Markarian’s Chain is a string of a dozen or so galaxies that extends over nearly 2° from Virgo into Coma. 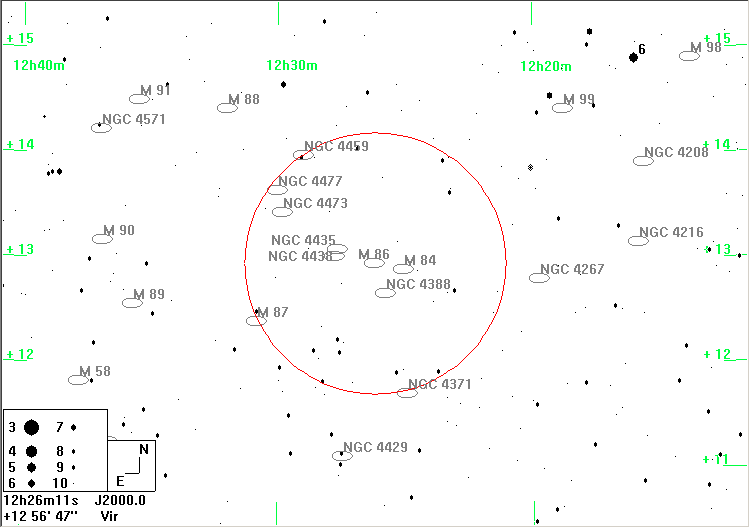 The brightest members are M84 and M86, both of which are easy objects. 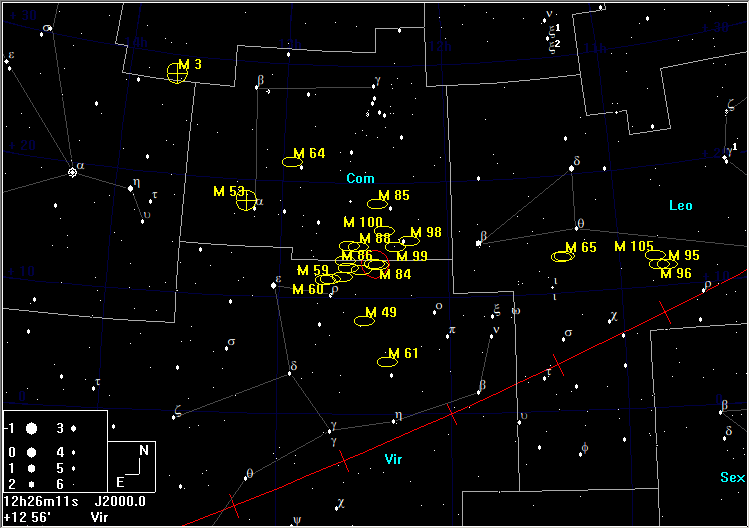 The chart shows the seven brightest members of this chain, and you should be able to see all of these if the sky is reasonably dark. Fainter members of the group become visible under ideal conditions. It is worth using patience and averted vision to tempt the fainter members of the chain into visibility.